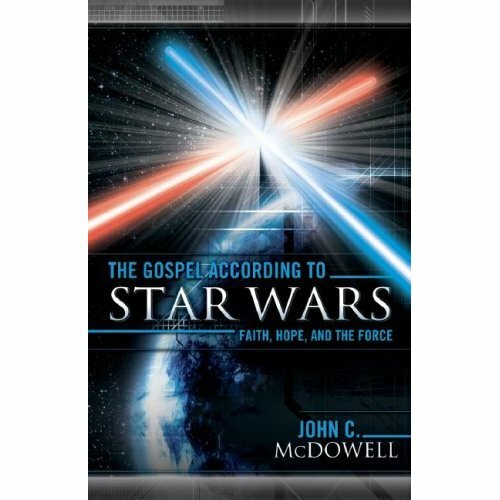 The Gospel According to Star Wars: Faith, Hope and the Force by John C. McDowell, Westminster John Knox, 2007, 204 pp. 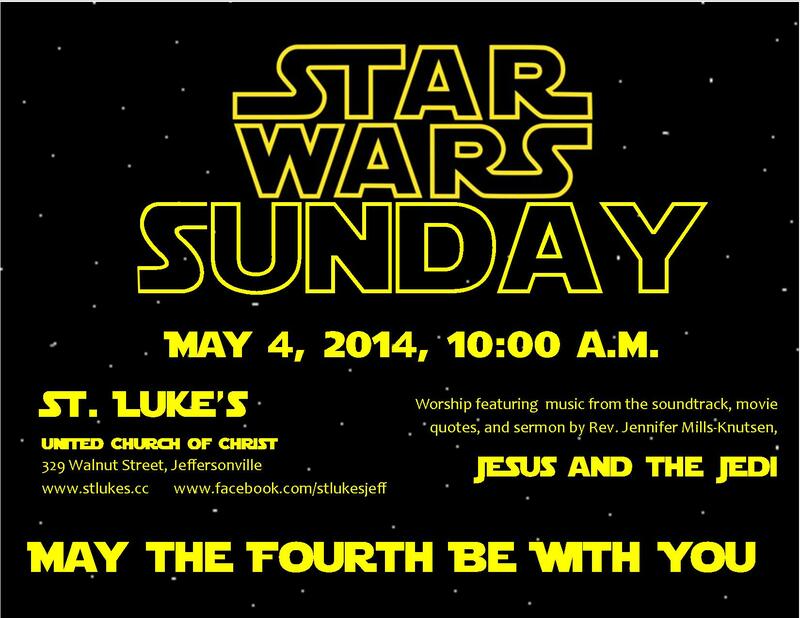 May 4th fell on a Sunday this year, and I could not resist the idea of a Star Wars Sunday. I was a child of the Star Wars era, and spent many of my young days waving a stick with the “whooom, whooom” sound of a light saber, building worlds in the yard for my action figures and acting out great scenes from the films. There is a lot of Jedi wisdom that informs my view on the world, and the mythology of the Force had a shaping influence on my development. I know I am not alone, and Star Wars Sunday was an attempt to reach out to those who are enthusiastic about George Lucas but skeptical of Jesus Christ. I ordered this book as an aid to that preparation. McDowell’s fandom is clear from the beginning. The Gospel According to Star Wars is more of a theo-literary analysis of the Star Wars oeuvre than anything else. McDowell references not just the six films, but the corresponding novels, television series, and multiple deleted scenes. This is not for the novice. I’m an accomplished Star Wars afficiando, and much of this was beyond me–not theologically, but understanding the allusions to the Star Wars galaxy. Still, I learned some things that were helpful. McDowell’s general approach to bringing together these two mythological worlds paralleled my own. It’s not about arguing that Star Wars is secretly Christian (it’s definitely not), or about finding micro-moments in Star Wars that illustrate Christian principles. The point is to put the two worlds side by side and see what they can teach each other. 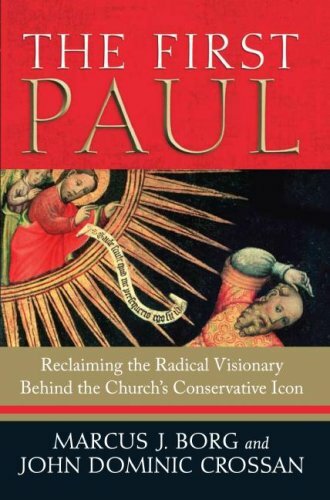 Christianity might be illumined by the ideas of the Force. One’s understanding of sin and grace might gain new understanding by brushing against the Dark Side. The first chapter was the most helpful. In it, McDowell traces the body of work on Star Wars and mythology, including Lucas’ own thinking about his mythical world and its morality. Lucas was a deep reader of Joseph Campbell’s work on the mythic hero and his or her quest. In creating the Star Wars universe, he intentionally incorporated ingredients Campbell emphasized as important for meaningful mythology. There is a reason this story sticks with its followers–it deliberately engages in these deep questions about human life and desire for meaning. This affirmed the work I was doing with Star Wars Sunday, validating the experience that Star Wars evoked a spirituality that was not Christian, nor was it mature—and consequently opens the door to deeper conversation between the Force and God. Later in the same chapter, McDowell points toward the morality of the Force and the Jedi way. The next three chapters grapple with the ways evil operates in the Star Wars universe. This is where the details of the various Star Wars stories became a bit overwhelming to me. Still, I appreciated McDowell’s analysis of the Manichean aspects of the Force versus the Dark Side, of Anakin as a tragic hero whose intentions are often good even when his actions are evil, and of the politics of empire. The final three chapters analyze the turn away from evil: in rebellion (which includes violence), in living a virtuous life as one who follows the will of the force, and in an eschatological hope for the future. This is not a fun and easy read for theologians or Star Wars fans, but it is a helpful tool to generate ideas and analysis of the Star Wars world in concert with Christian theology. Its academic content is broad and deep enough to be helpful, but it’s not dense or riddled with jargon. Its Star Wars content, however, is deep into geek fan territory. I recommend beefing up on your Star Wars knowledge before diving in. 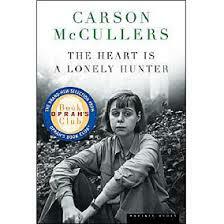 The Heart is a Lonely Hunter by Carson McCullers, Houghton Mifflin, 1940, 359 pp. Somehow, I made it through an English major with multiple courses and a lifetime devotion to southern literature without reading Carson McCullers. My last trip to the library, I decided to rectify that vacancy in my knowledge. I want to say that I am glad I did, which is true, but The Heart is a Lonely Hunter was full of such pathos and sorrow that it feels ingenuous to associate reading it with anything resembling joy. Beauty, truth, the human spirit, artistry—yes. Gladness, however, is in short supply. 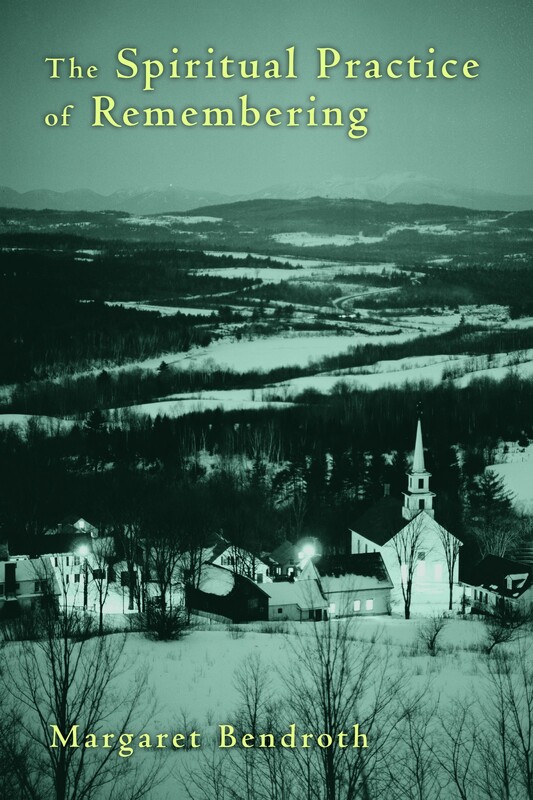 The Heart is a Lonely Hunter is the story about loneliness and isolation, as situated in a small Massachusetts mill town in the Great Depression. The central character is John Singer, a deaf-mute, whose best friend, roommate and fellow deaf-mute has a breakdown and his family sends him to an asylum. Singer loses the only person with whom he can communicate openly, and he is thrust into silence. The four other characters in the story are equally lonely, but each find their way to Singer and find in him someone who listens to them (he reads lips). Mick Kelly, a young teen girl whose parents run the boarding house, aspires to leave the shabby mill town and see the world. She has a gift for music that goes undeveloped because she had no access to a piano or lessons—only living for the occasional presence of a radio. 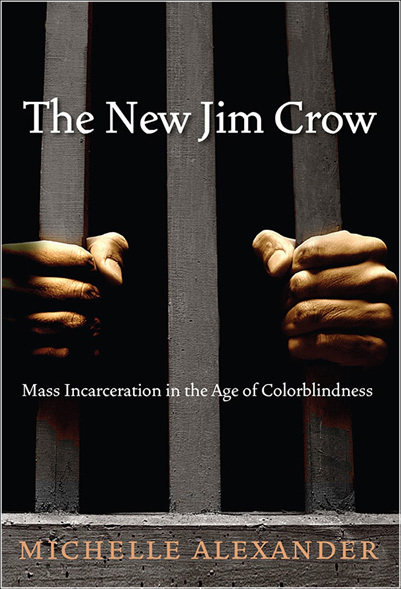 Doctor Benedict Macy Copeland is the most educated man in town, and black. His education separates him from the African-American community that makes up his patients, and his race separates him from everyone else. His strictly-held political ideas about how to advance the good of his race have even alienated him from his wife and children. Jake Blount is a mechanic with a head full of ideas about Marxism and revolution. He visits with fellow laborers trying to get them to understand, but he presents as a blowhard and his frustration only grows that he cannot find anyone who can understand as he does. Biff Brannon owns the local café where Singer and Blount dine nightly. After the death of his wife, the business begins to fall apart around him, while he stands at the counter and watches other people’s lives and conversations, always apart from relationship with them. Singer’s silent presence makes them feel as though they are not alone, as though someone listens and understands and cares about them. They begin to visit his room in the boarding house, pouring out their hearts and concerns in his silence. Singer does not find companionship in them, because they cannot read his sign language, but they find solace in him. As the novel unfolds, the reader hopes the four people coming to Singer might find companionship in one another—Blount and Copeland plotting together for revolution, Brannon’s compassion for Mick Kelly opening a way for her to escape her poverty. Sadly, this story is not hopeful. Its ending is as sad and lonely as its beginning. Perhaps this is the reality of the world, which is regularly cruel and pointless—but I’ll admit to desiring a bit more hope in my novels most of the time, even if it’s only pretend. Sometimes, though, I turn to a novel because I feel sad and need to find a way to dive more deeply into that dark place. McCullers does that just beautifully, presenting the pathos and isolation of this world with grace and subtlety. It’s not a tragedy, but it’s a sorrowful glimpse into the loneliness of the world. It left me with my sadness, but what a beautiful sorrow it is. There is joy in that recognition. *Side Note: I got behind in writing reviews of what I have been reading, so I caught up by writing these three novel reviews in a row, for All the Living, The Lost Mother and The Heart is a Lonely Hunter. I realized in doing so that all three of them are stories about people grappling with profound loneliness and isolation. I would not describe myself as lonely right now, but I am certainly contemplating what would draw me to these three books in a three week period. 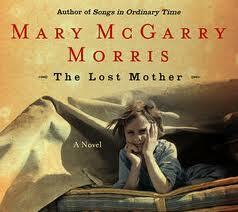 The Lost Mother by Mary McGarry Morris, Viking, 2005, 274 pp. I keep going to the library and checking out Mary McGarry Morris books, but never getting around to reading them before they are due. (This is what happens when you are a book addict. I can’t leave a library with less than 10 books at a time. Three weeks isn’t long enough to read that many novels, along with my professional reading.) I’m so grateful to have finally made it into this one, and next time I won’t return them unread. The Lost Mother is the story of the Talcott children surviving the hardship of the Great Depression in Vermont. When the story begins, Thomas and Margaret are living in a tent in the woods, because they have lost their home to debt. Their father Henry works butchering farm animals, but work is scarce and money even more scarce. The loss of their home, however, is a minor inconvenience compared to the searing loss of their mother, who simply abandoned her family, moved to a mill town, and started a new life. The children initially believe she has left to support them and will return when times improve, but slowly they are forced to confront the truth of her abandonment. There are a host of other characters in the book who step in to take responsibility for Thomas and Margaret, either by choice or by force. The wealthy, greedy Farleys want to take Margaret and make her their own daughter, separating her from her family forever. Aunt Lena (their mother’s sister) and Uncle Max do not want to take the children in, and their alcoholism makes it an unsafe place for the children to be. Gladys is their father’s lifelong friend. She would step in to care for them, and does what she can, but she is caring for her ailing father, whose abuse for the children makes them unable to stay there. The story is heart-wrenching, but hopeful. Thomas and Margaret have people who want to care for them, but can’t; people who want to own them, but are thwarted; and people who could care for them, but won’t. The plot unfolds as they spend a full year making their way from one terrible situation to another. As a parent, I wonder what it would be like to know you are unable to provide for your children. No one in the story is demonized for failing the children—it is just the way things are. The narrator most often tells the story from Thomas’ perspective, and we watch him grow from a child’s view to a wizened adult one through the course of the story’s one single year. The Lost Mother was a fast read, and a great story. It left me pondering the millions of children all over the world who are alone in this world. Thomas and Margaret’s story is not unique. Just this week, there have been multiple news stories of unaccompanied children warehoused in terrible conditions having been picked up crossing the border illegally. What is it like to be a child alone in this harsh world? 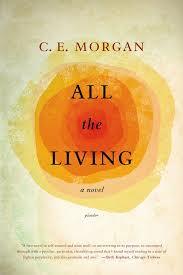 Morris’ novel imagines it in one time and one place, with sorrow and with hope.